Invitations follow a strict set of rules, so today we are breaking it down to answer some of your frequently asked questions. When do we send them out? For destination weddings, where guests need ample time to plan, send them out 10-12 weeks from the wedding date. RSVP's should be due 5-6 week out, so you have a week to contact guests who have not responded (it happens for every wedding!). Your vendors will require a final count 30 days out so this gives you enough time to get a final head count. You don't want to send them out too early or give a huge gap in response time as it might be misplaced or forgotten. Timing is key! Adults Only: If you want an adults only reception, be sure this is noted at the bottom of the invitation. If many attendees have kids, consider getting a baby sitter for the duration of the reception. It is not required, but a nice gesture if you want those guests to be able to attend. Wedding Website: Be sure to list your wedding website on the save the date, and if you would like to also include with your invitations, insert an accommodations card. Your wedding website is where you want to put all the pertinent information for your guests i.e. registries, timing, hotels etc. Plus One: You do not have to give everyone a plus one. If a guest isn't married or in a serious relationship, it is perfectly okay to invite them solo. Rule of thumb, if they have been dating for longer than a year (or they know the name of your pet) extend an invite. Addressing Invitations: Be as clear as possible when addressing invitations so there isn't any confusion on who is invited. If you don't want a plus one, only address that guest on the invitation. For example, if you put Sarah Smith & guest, she can assume she can bring anyone. 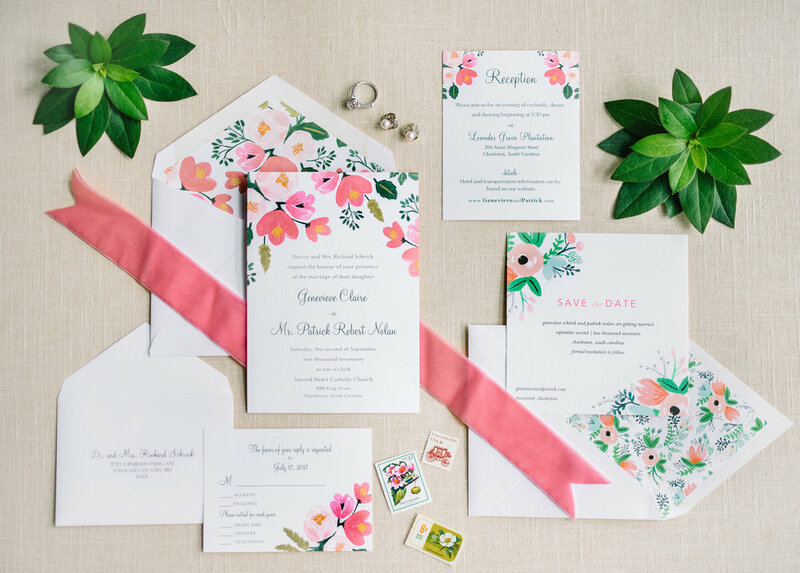 Registry: Putting your registry on the invitation is a faux pas, your guests should know the wedding website and can access all the crucial wedding information there. Your families and bridal party should be in the know, and can send guests asking to the correct place. 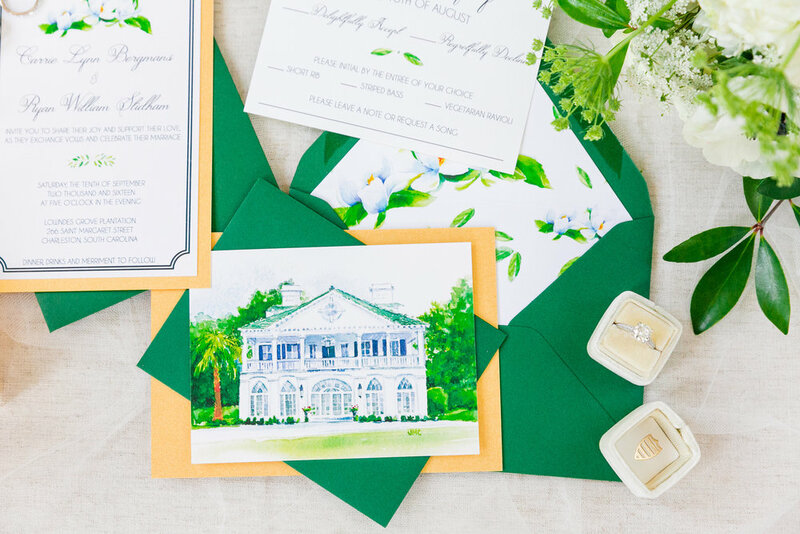 RSVP Card: Be sure to include a stamp so guests can easily drop in the mail promptly. If they are required to purchase a stamp, it may prolong the responses. Stamps: Before buying stamps, bring your entire invitation suite in to the post office so they can weigh it and can provide you with the appropriate amount of postage needed. Remember that the type of card stock, larger envelope or shape, additional inserts (such as a map), add weight. 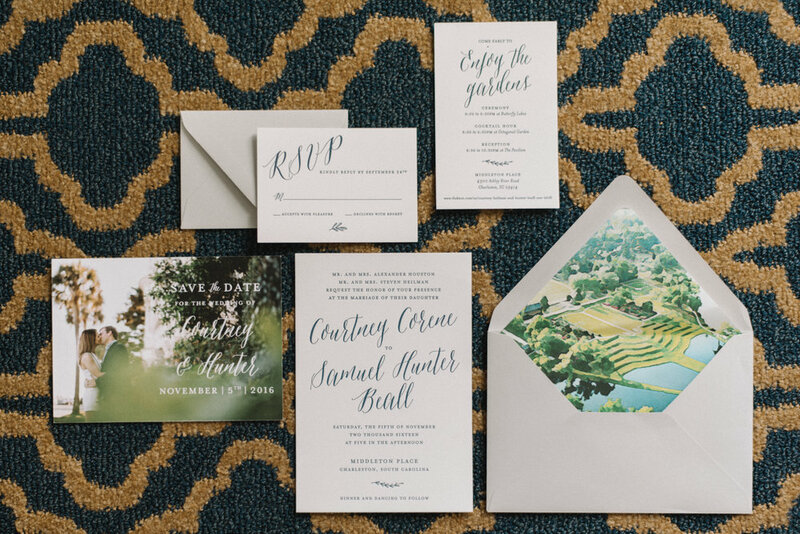 Ask if you are able to hand stamp your invitations, as this is much more appealing than if they were to run it through their automatic system.